This entry was posted in Blog on November 29, 2016 by Bhamini. 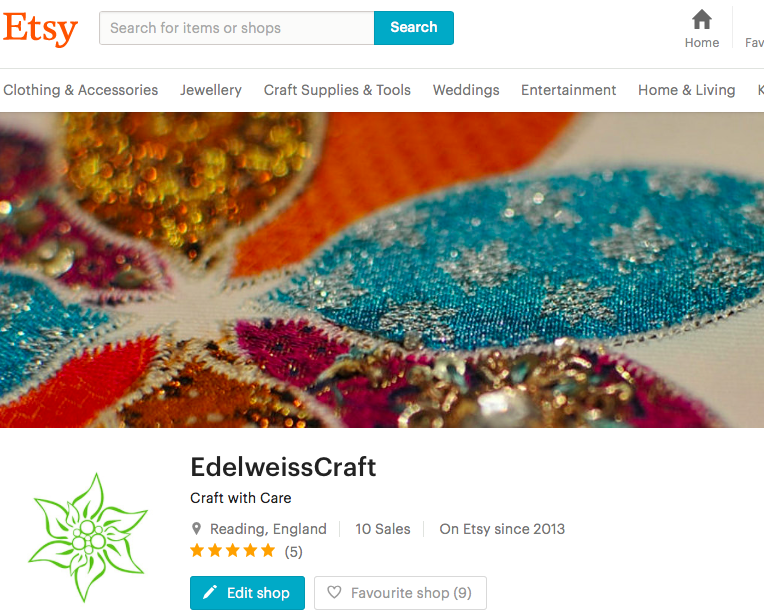 Finally, after many months of planning, researching and implementing I’ve set up my shop selling crafty stuff on Etsy – I have rebranded to Edelweiss with my Etsy shop being named EdelweissCraft. Its all very exciting – I just shipped out my first order on Friday. It should be hitting the doorstep of my very first customer soon so I am hoping for some very positive feedback!!! Can’t wait. Thats why I’ve so little time for crafting but hopefully soon there will be more here. 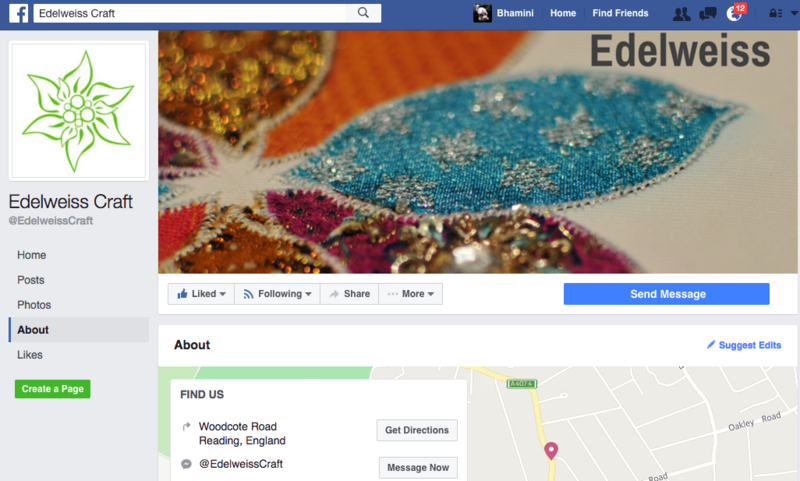 For now please check out the shop – there is a bit of stock there but there will be more sewing and crocheting items coming very soon! This entry was posted in Blog on November 14, 2016 by Bhamini. I take the memories of when my lil girl wore this, around with me everyday in my cute little hand bag. 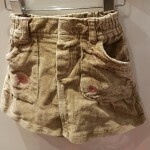 Its especially handy in the summer time when I’m not wearing anything that has pockets and I’m not worried about the bag getting dirty as we frolic in the mud and sand in the playground. I can just throw it in the wash! To make this I’ve sewn the bottom of the skirt together. For the shoulder straps I’ve used the skirts from another old corduroy dress. I simply cut two strips, sewed up the ends, folded over lengthways and turned them into straps. I then tied them to the belt loops so the bag looks rather grungy. I’m planning to add a zipper at the top but am find the pockets particularly useful for keeping keys – they don’t fall out either! I did break a needle in the process as the skirt is quite thick in places but a Schmetz 100 did the job nicely. I’ve been tested some new polyester Somac threads, my Bernina likes them and they are holding up nicely with the wear and tear. This entry was posted in Blog on November 1, 2016 by Bhamini.